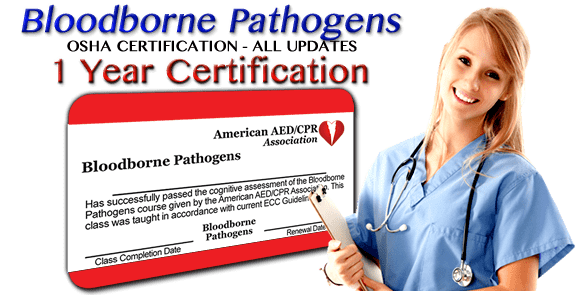 In this section, you will learn about the universal precautions you must take to protect yourself from bloodborne pathogens. You should also know whether or not the hepatitis B vaccine is appropriate for you in your workplace, why it is unsafe to eat, drink or smoke in certain areas of your workplace. 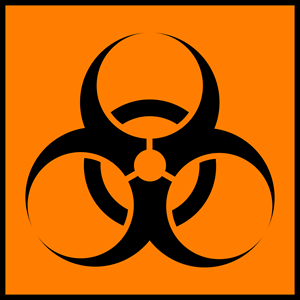 You should also be able to recognize the symbols used to label bloodborne pathogen hazards. This section covers how to protect yourself from exposure and ways to reduce your risk after exposure. Your first step should always be making sure the scene is safe. You may have to provide aide in dangerous locations. For example, you may have to help an injured person in a room with broken glass or large amounts of blood. It is important to remember to not put yourself in danger when trying to help others. If you try to help when the scene is unsafe, you may become a victim yourself. Always make sure the scene is safe for you and the victim first. There is a chance you may become sick if you come into contact with the blood or blood-containing materials of a person infected with a bloodborne pathogen. Since you cannot tell whether or not a sample of blood or blood-containing material carries bloodborne pathogens, it is best to treat them all as if they did. By treating all blood and blood-containing materials as if they carried bloodborne pathogens, you are taking universal precautions. Your job may require you to wear a cap or hood at all times if there is a reasonable chance you may be sprayed by blood. 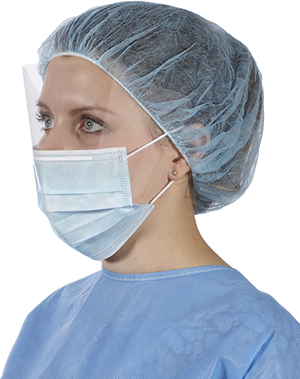 Your employer may have specific requirements regarding PPE, so check your exposure control plan. Some protective gloves contain latex, which some people are allergic to. Use protective gloves that do not contain latex whenever possible, such as vinyl gloves. Do not use latex gloves if you or the injured person is allergic to latex. Turn on the faucet with a paper towel, and dispose of the paper towel properly if possible. Wet your hands and apply soap. Work soap into a later for at least 20 seconds. Avoid splashing and try to keep water contained in the sink. Dry your hands with a paper towel, and use that paper towel to shut off the faucet. Dispose of the paper towel properly. If you do not have immediate access to soap and water, use a waterless hand sanitizer for the time being. Wash thoroughly with soap and water as soon as possible. If there is a reasonable chance you may come into contact with blood or blood-containing materials, then your employer should provide you with a hepatitis vaccine for free. Your exposure control plan should help identify who is at risk. You will receive more information about vaccinations during your site specific training. Ask your employer or supervisor for more details. Bloodborne pathogens can enter your body through the mouth. Because of this, it is important that you do not eat, drink or smoke in any location where you may come into contact with blood or blood-containing materials. Always wash your hands thoroughly before eating, drinking or smoking. If you have come into contact with a bloodborne pathogen and did not wash your hands thoroughly, you run a higher risk of becoming sick after eating, drinking or smoking. 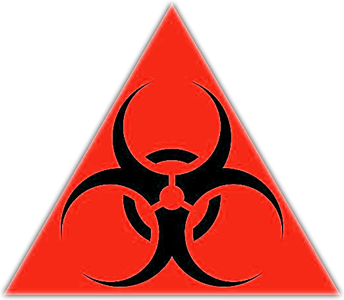 Containers that hold or carry blood or blood-containing materials must be labeled with a biohazard symbol. These symbols have bright orange or orange-red backgrounds with lettering or other symbols in a different color. Your workplace has its own rules and locations for disposing of biohazardous materials. The proper disposal areas are marked with a biohazard symbol and may include sharps disposal containers and red plastic bags. Biohazardous wastes do NOT go in an ordinary trash bin. Make sure they are disposed of properly and check with your employer about specific details.